Services | Integrity Home Inspection Services Group LLC. Integrity Home Inspection Services Group LLC. offers comprehensive home inspection services to prospective homebuyers, sellers, and realtors through out all of New Jersey. 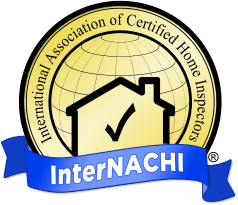 Proud members of NJNACHI, and InterNACHI, we meet the State of New Jersey’s exceptional Standards of Practice for home inspectors. Our complete General Home Inspection is for prospective homebuyers who desire a better understanding of a residential property’s condition before moving forward with their decision to invest. We carefully evaluate most visible and readily accessible areas of a home, compiling our findings into a detailed report that includes numerous photographs. Your report will be conveniently available through a highly secure, personal login within 24 hours of your inspection and is catered toward your individual needs. By taking the time to get to know you before, during, and after your inspection, we are able to recommend appropriate courses of action based on your personal preferences. If for example, you have had experience in plumbing, then perhaps a leaky facet is not a cause for alarm. However, we will point any and all items of concern in our final report. We consider your particular needs with everything we do—because we work for you. Our clients are always invited to follow along during an inspection, and we will be available afterwards to answer any questions that you may have. Wood Destroying Insects can devastate the integrity of a home and reduce the market value. Sometimes the damage is not immediately apparent, requiring a trained pair of eyes to discover. 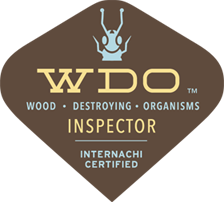 A Wood Destroying Insect Inspection will reveal any current infestations of termites or other destructive insects and identify any pre-existing damage. Radon is a radioactive gas that forms from the breakdown of certain kinds of rock and soil. If radon is able to escape from the ground, it can find its way into your home, posing a risk to your and your family’s health. Odorless and invisible, radon can not be detected by conventional means. A Radon Inspection utilizes advanced instruments and the extensive training of our inspectors to detect for the presence of radon in your home. looking for signs of mold growth, obtaining samples for laboratory testing and pointing out areas of moisture that risk becoming a mold infestation over time. A full laboratory report on samples taken will be provided. If a New Jersey home was built before the 1980s, then there is a good chance that oil was the primary source of heating. Over time, a lot of homes converted to alternate fuel choices and original tanks have become dormant. The underground tanks that stored the oil were usually made of steel—which over time can deteriorate due to rust. By using state of the art metal detecting technology, our inspection group can determine if a tank is present. If a tank is found, additional inspection may be made to check for any leaks and perform a sweep of the entire tank to accurately determine condition and overall environmental safety of the unit. Sometimes a complete home inspection does not fulfill a client’s particular needs. If you have recently renovated an area of your home, or if you would like to determine the condition of critical components such as the HVAC or Electrical systems, then a Partial Inspection may be right for you. A Partial Inspection involves the meticulous visual examination of any specific area or component that you need to have inspected. When preparing to sell a home, it is important to have an accurate understanding of your property’s condition and market value. A Pre-Listing Inspection will provide you with a comprehensive report on the overall condition of your property and a detailed explanation of any issues—giving you the opportunity to make repairs or improvements before you list. Once your home hits the market, you’ll be able to establish a greater sense of trust with prospective buyers. When their own inspection turns up no surprises, the odds are in your favor for the successful outcome of negotiations. As construction on a new home draws to a close, it is a good time to schedule a professional third-party inspection. A New Construction Inspection will reveal any defective components or issues with mechanical systems so that you are able to arrange repairwork with the building contractor prior your move-in date. Having a pool on a residential property is a wonderful luxury that offers relaxation, recreation, and relief from the summer heat. But before you buy a home that comes with a pool figured into the asking price, it is important to have the pool inspected. A Pool Inspection evaluates the pumps, motors, pipes, and most other visible components. The safe and effective operation of the mechanical systems will be carefully inspected as well as the condition of ladders, diving boards, steps, and handrails. Integrity Home Inspection Services Group LLC. offers wide-ranging, high-quality home inspection services to educate our clients and facilitate the homebuying or selling process.